Chandler Walnut Tree is the most productive variety among walnut saplings. It gives more walnuts than any other specy and it is developed in California. We have Chandler walnut trees for sale all year round and please ask for our walnut tree prices. 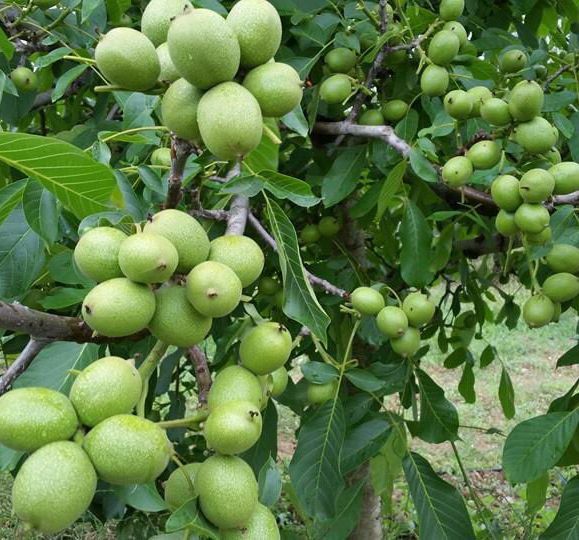 This variety is good for your walnut orchard if you are looking for a productive and disease resistant variety. Chandler walnut tree spacing should be 6 meters by 5 meters. Grows best in deep watering and well–drained soil. Fertilizing walnut seedlings is easy using animal manure. This makes 330 trees per every acre. 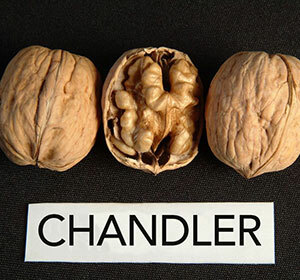 Franquette walnut tree is Chandler's pollinator. In order to optimize productivity of your orchard you should plant 1 Franquette for every 10 Chandler trees. In terms of Chandler walnut tree yield you can expect up to 15 tons of dry walnuts per acre 8 years after planting your trees. 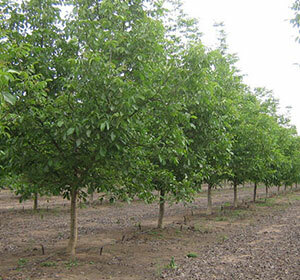 We have 1 year old and 2 years old walnut trees for sale. We graft our walnut saplings using best techniques called chip budding. It is a very reliable grafting method and produces very durable trees. Our rootstock is junglans regia or English walnut. Saplings should be cut from body level before planting your trees.